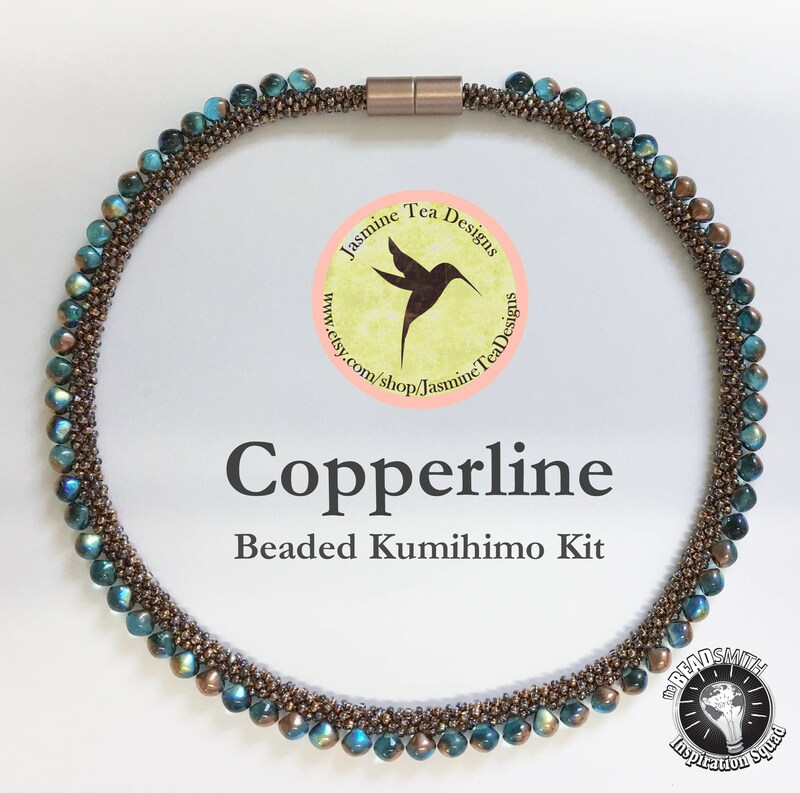 This is a listing for the seed beads, mushroom beads, beading cord (both Tex 135 & Tex 210) and magnetic clasp to create 'Copperline'. This is a choker style design and the finished length is 15 inches with Tex 135 and 18 with Tex 210 but can be made longer by adding additional seed beads to the start and end. This is a yatsu-kongoh gumi braid. You must be proficient in counted kumihimo patterns and dropping beads with every movement while maintaining proper tension. This is not a difficult pattern but it does require patience with loading, dropping beads and maintaining tension. Beautiful kit. Packed with TLC. Quick to Ship. Thank you. Super fast delivery, beautifully packaged and organized materials. Love the Jasmine Green Tea sample as a bonus gift. The beads are even more beautiful in person and I cannot wait to make this kit! Diana has an amazing eye for color and design and I have loved everything I have purchased from this shop. This kit will be no exception.